When I was in Paris, the one bit of actual cookware that I came back with were silicone madeleine molds. I bought a lot of other food-swag, but my molds were special — because I could use them to make those light as air, genoise cakes long after the nougat was consumed, the pate had been scarfed and the macarons were devoured. And now we’ve actually gotten to the point where the last of my specialty items are only a memory and I have no choice but to recreate the good stuff at home. Enter the madeleine. 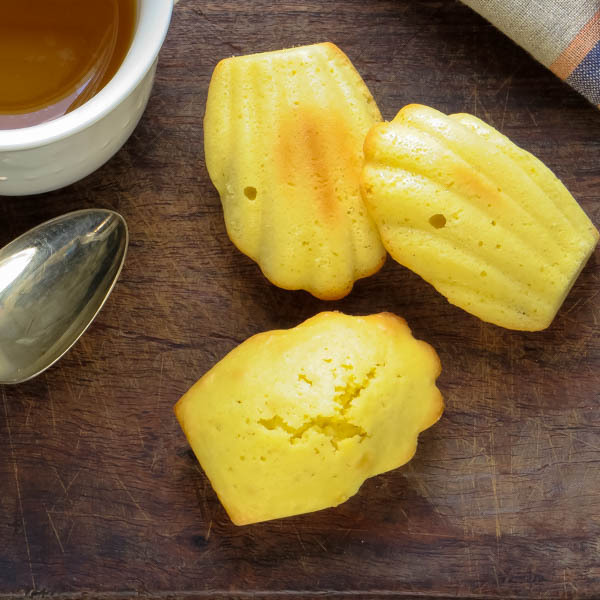 If you’ve never had one, madeleines are light, fragrant sponge cakes made from a genoise batter. The recipe I used came from the cookbook, Baking with Julia. 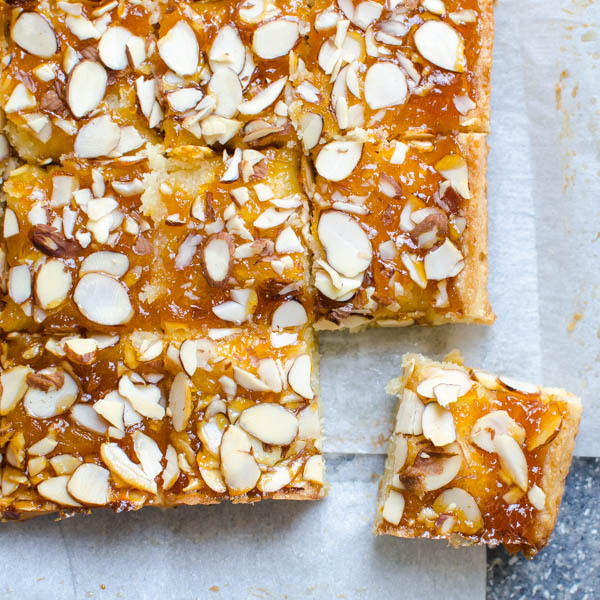 Dorie Greenspan is the author, and she and Julia Child paired up with some pretty accomplished pastry personas, so you really can’t go wrong with this recipe. The first batch I made was so good that I made them again the very next weekend with one alteration. I subbed coconut extract for the vanilla. I was going to add flaked coconut as well, but I didn’t want to get too carried away. They were divine. Just a hint of coconut flavor permeated the cake. Then I started thinking of other things I could do with these faintly-sweet, egg-rich pastries. In fact, I experimented on my cousin and her husband (James and Katrina are such good sports!) with one idea. 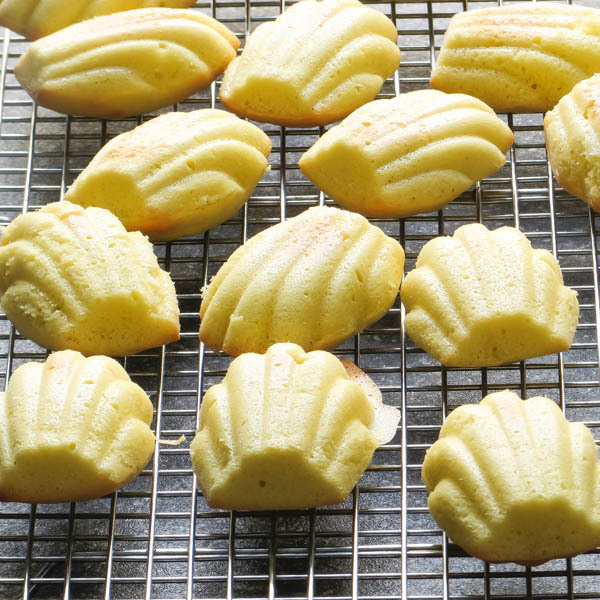 I soaked the madeleines with a coconut-rum simple syrup and then layered it with a key lime mousse. Toasted macadamias and coconut finished it off. OMG!!! I’m also thinking of a lemon poppyseed version and maybe a chocolate-espresso one (dipped in chocolate???) I’m just thinking out loud here, but if you’ve got some ideas, I want to hear them! 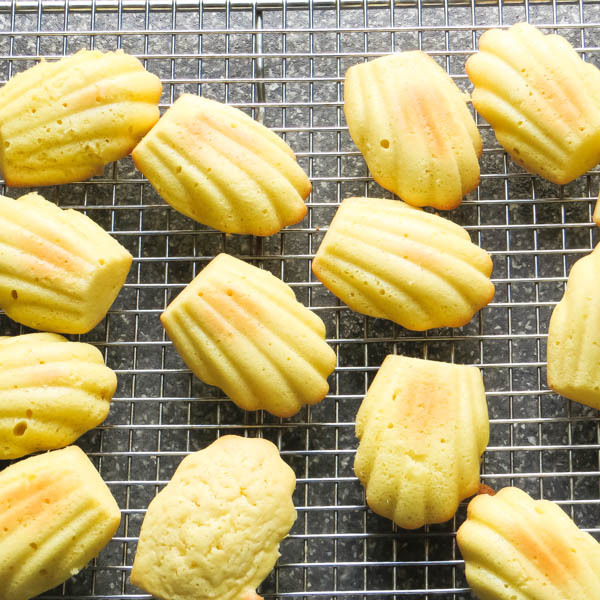 In the meantime, let’s enjoy this batch of coconut madeleines in all their shell-shaped glory! I think I got a little carried away with my picture-taking, but they were so cute, I kept arranging and re-arranging while snapping off dozens of shots! 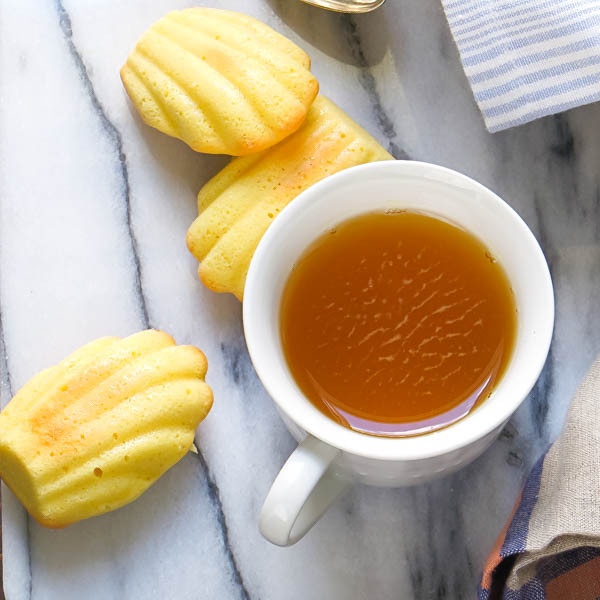 If you don’t have a madeleine mold, the batter can actually be piped into 4-5″ fingers for — you guessed it, Lady Fingers! A mouthwatering coconut riff on the original French sponge cakes! Butter and flour two madeleine plaques, or if you're using silicone pans, no need to prepare them. Place plaques on a baking sheet. 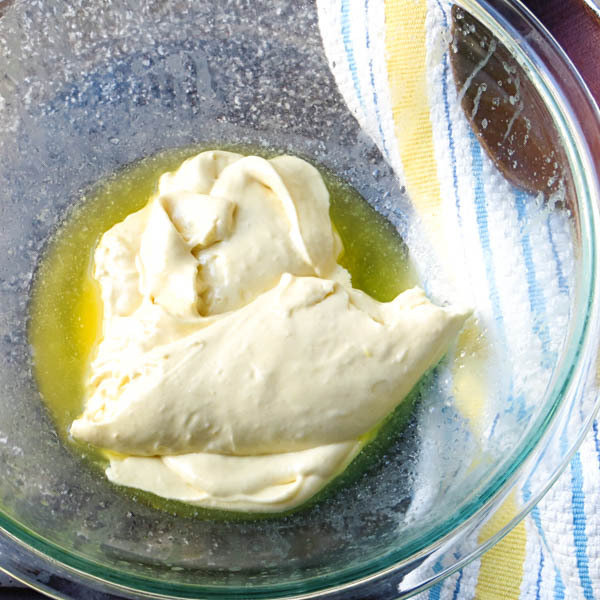 Place the butter in a one quart microwaveable bowl. Cover with plastic wrap and heat in 20 second increments until melted. Set aside. Ready your mixer with the whisk attachment. 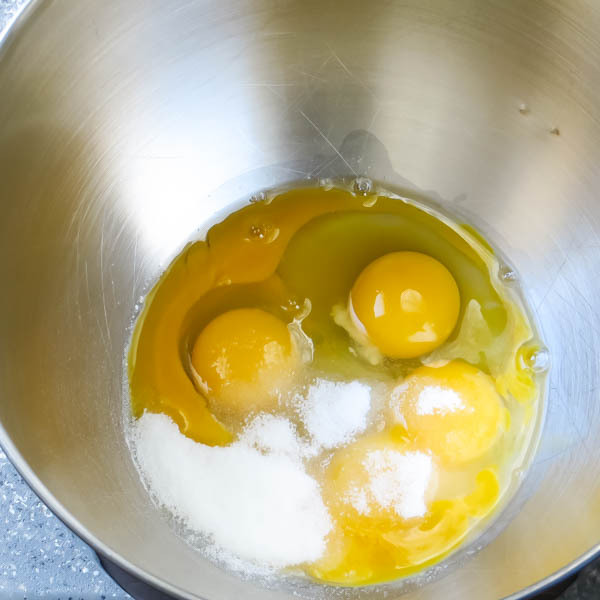 In the bowl of a stand mixer or large mixing bowl add the eggs, egg yolks and one tablespoon of the sugar. Beat until just combined. Add the remaining sugar and whisk on medium speed until mixture is airy, pale and tripled in volume. 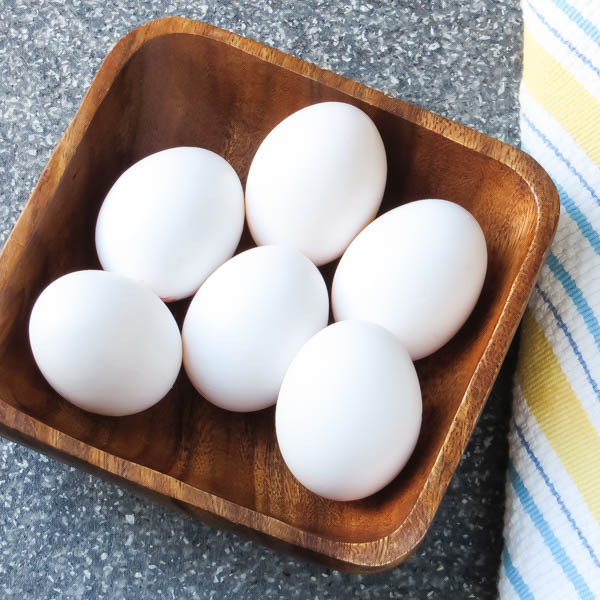 The eggs are properly whipped when the mixture falls back into the bowl in ribbos and rests on the surface for 10 seconds. 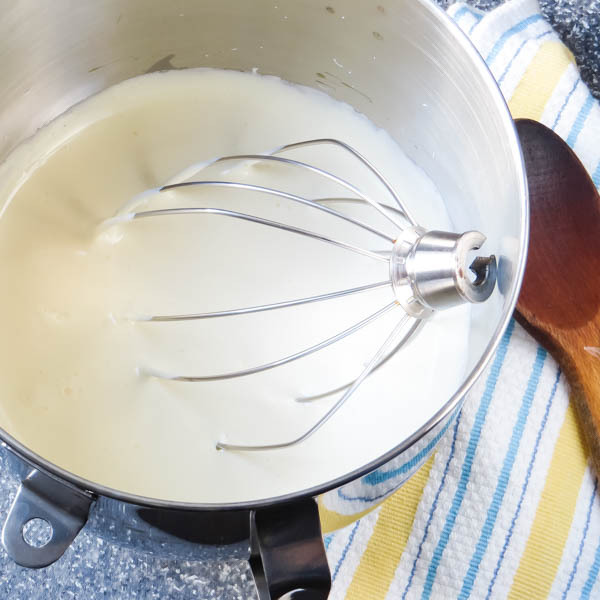 If the ribbon sinks immediately, continue to whip the egg mixture until achieving the proper consistency. Sprinkle about 1/3 of the flour into the egg mixture and gently fold it in with a rubber spatula, stopping as soon as the flour is incorporated. Add the rest of the flour in two more additions. 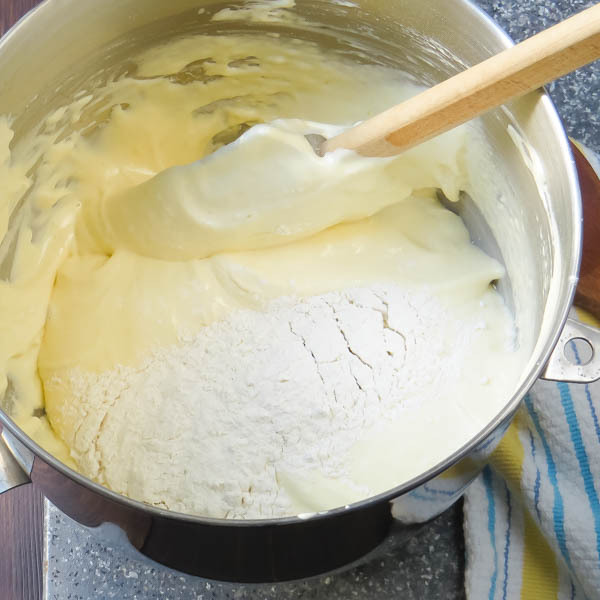 Gently spoon one cup of the batter into the bowl with the butter. 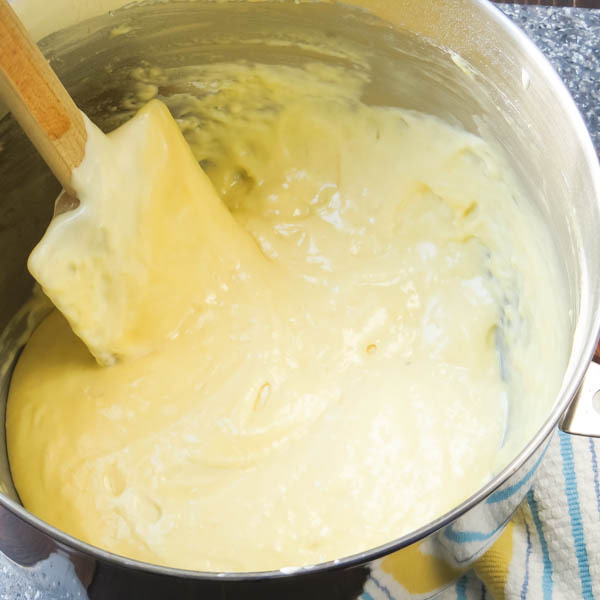 Gently fold the butter into the batter, then add the butter mixture back into the larger bowl of batter and fold it very gingerly. This is the most fragile point for the batter, so don't over mix. 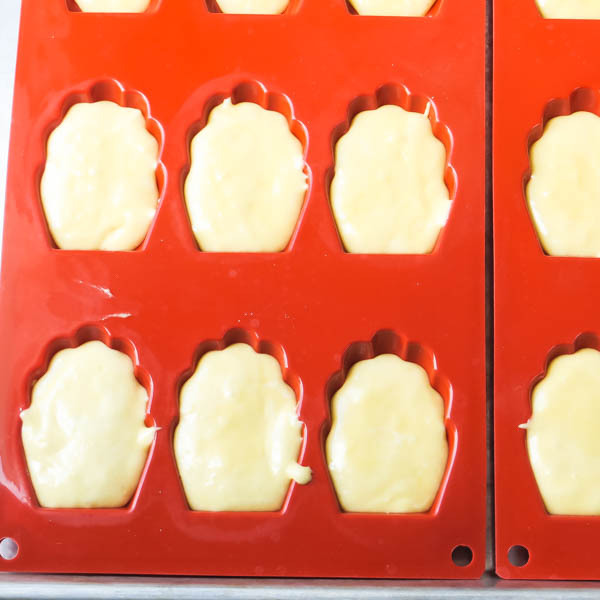 Drop rounded teaspoons of the batter into the madeleine molds to fill about 75-80% of the way, but don't overfill - they will puff as they bake. Bake for 10 minutes until very lightly golden, and cake springs back when you touch it. 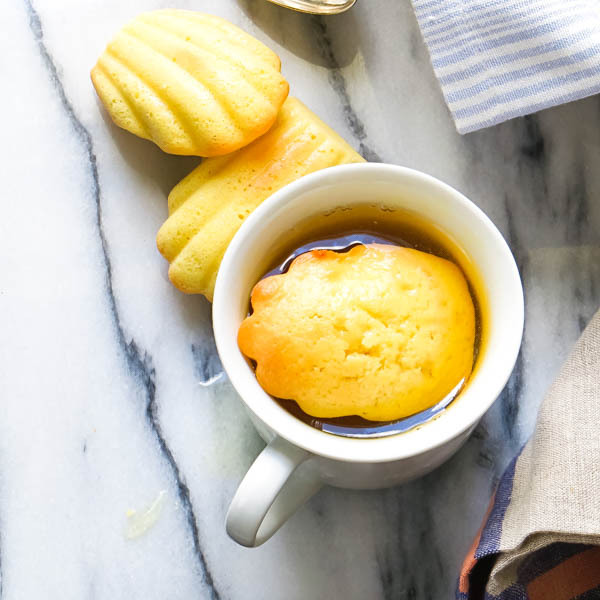 Cool the madeleines in the pan for 3-5 minutes until carefully unmolding them from the pan. Serve. Madeleines are best eaten the day that you make them or the next day, dipped in a cup of tea or coffee. They can also be frozen and thawed. 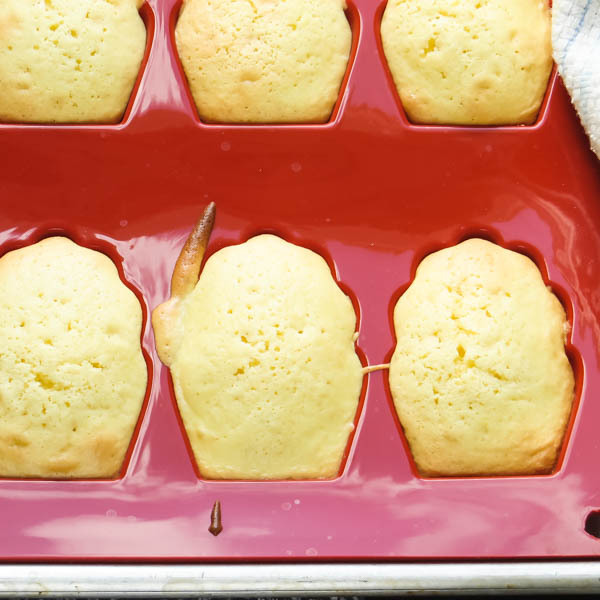 To freeze, wrap the little cakes so they don't touch, in parchment paper. Place into a zip-top freezer bag. Freeze for up to a month. 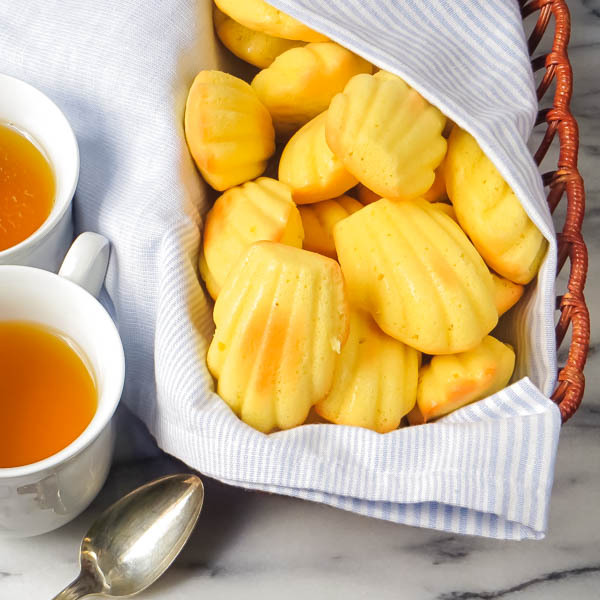 These were fantastic and James and I loved being experimented on 😉 Do you think when the holidays roll around you could do a pumpkin madeleine? I promise to let you experiment those on me too! 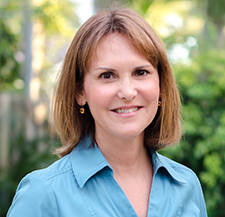 what a great idea – you and me — in the kitchen!